Tag Archives for: "the years that followed"
It is always a thrill when see your book published. When you catch a glimpse of it at last between covers, sitting on a bookshop shelf – actual or virtual – and you can’t quite believe it. 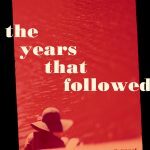 US publication of #theyearsthatfollowed is the 11th October, next Tuesday. I’ll be helping to send it – my tenth novel – out into the world when I arrive in New York on the 16th, ready for action! Maybe it’s all those years I spent as a teacher. Maybe it’s all those years I spent as a young pupil and a student. Maybe it’s because I’ve always preferred the Irish autumn to the Irish summer. One of the joys of travelling and getting to experience other countries is discovering the wealth of books and writers that otherwise might have remained below my radar.